Rose are the ultimate flower for love. Humans who were hardwired for romance and companionship always fall for the power of roses. 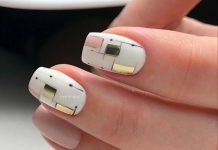 Since roses are meant to be received by hand, why not have them painted on your nails to have it readily available for your own consumption? I guess that is not a bad idea. 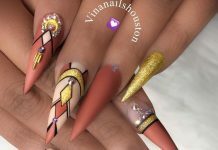 Rose as subject for nail art is not a surprise especially since the art itself was created mainly for women. 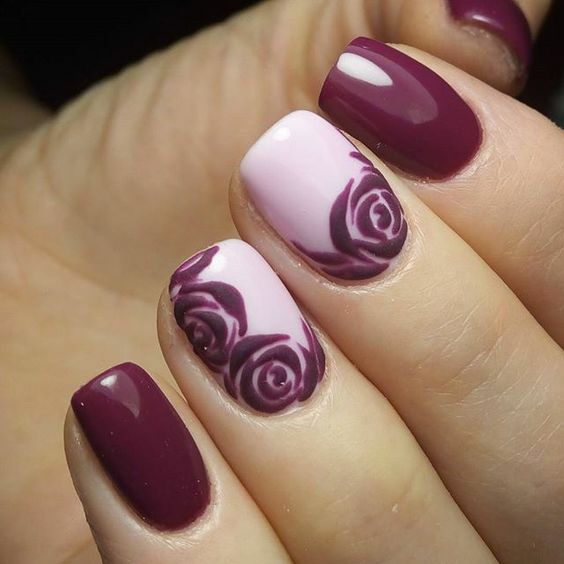 The petals of a rose are probably the highlight everyone agrees with so creating it on one’s nails is as important as putting a primer before a major paint job. 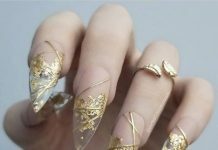 The petals can be just painted directly on nails or artistically created on a 3D fashion using other materials commonly used for nail art. Roses are not just red so we also showcase nail samples with this flower featuring its other shades. Most of everyone adores roses simply because it symbolizes the most primitive yet trivial feeling of all which is love. We’re just lucky enough that nature provided us with such a beauty helping us express our truest intention to our loved ones, anytime of the day. Here are the 35 Stunning Rose Nail Designs that will surely make you want to try having one! Also, you might want to check our 40 Gorgeous Flowers On Nails Designs collection for further inspiration!